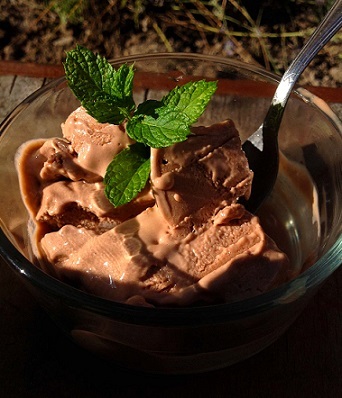 Vegan Gelato Recipe is an easy-to-make vegan dessert that tastes delicious and creamy. My daughter, Nancy Hartman, created this delicious vegan version of gelato in honor of the birthday of her daughter (and my granddaughter) Tabitha. Finding vegan desserts can be a challenge and many lack the rich full taste that you get with dairy products. This recipe uses coconut milk and coconut water in the custard to produce that rich creamy taste. More delicious Ice Cream, Sorbet, Granita, & Gelato Recipes. In a small bowl combine and stir together the coconut milk and coconut water. Divide the coconut milk mixture. In a small bowl, add 1 cup of the coconut mixture with the cornstarch and sugar. Using a wire whisk, combine the ingredients to form a slurry so that all the cornstarch and sugar are dissolved and the mixture is smooth; set aside. In a medium-size saucepan over medium heat, combine the remaining 3 cups coconut mixture and the vanilla extract. Stirring occasionally, heat the mixture to almost a boil; stir in the cornstarch mixture and let simmer from 5 to 12 minutes to thicken, stirring constantly. Another important tip is to stir slowly, (do not whisk) which will prevent too much air from being incorporated in the custard and will produces smaller ice crystals. Remove from heat and transfer the mixture to a bowl. 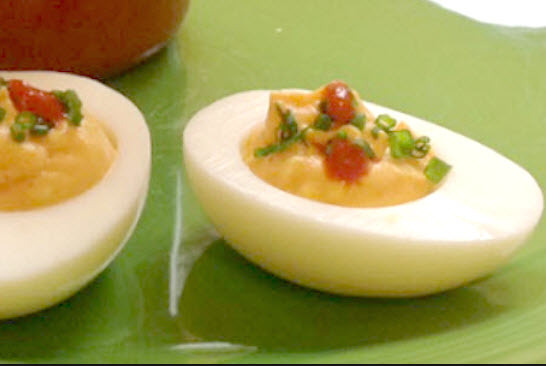 Cover and refrigerate until completely chilled, preferably overnight. Prepare the Flavor Variation (of your choice). Stir in your chosen flavor(s) into the prepared chilled custard. The gelato mixture is now ready for the freezing process. Transfer the mixture into your ice cream maker and freeze according to the manufacturer's instructions. Either churn your ice cream by hand or by motor. With Gelato, it is best to not process it until it is hard. Instead, stop the ice cream maker at soft serve consistency, then put it in a container in your freezer until hard for a delicate flavor and texture that differentiates it from ice cream. When the gelato is done, either serve and enjoy (best if eaten and enjoyed immediately as gelato has a shorter storage life than ice cream) or transfer to freezer containers and freeze until firmer. Mint: Add a cup of fresh crushed mint leaves to the coconut mixture during the simmering process and then set to chill. Strain the leaves out before adding additional flavors. Chocolate: Add 5 tablespoons 100% baking cocoa and or use a dark chocolate bar and shave chocolate pieces to add to the custard just before processing in the ice cream maker. Be sure to read the ingredient label, to find a chocolate that does not contain milk fat. Pistachio or Hazelnut Cream: See recipe below. Place the nuts, sugar, and olive oil in a food processor. Blend/process, adding the hot water (1 tablespoon at a time to control the consistency of the cream) until the nuts are a smooth, creamy consistency that blends freely in the blender (I actually used 9 tablespoons of hot water). NOTE: Stop the processor and scrape down the sides of the bowl several times during this process. When done, cover and refrigerate until ready to use in making the gelato.